Lee Wheeler-Berliner is the assistant director for policy and strategy for the Colorado Workforce Development Council. In this role Lee forges relationships with public partners at the local and state level to ensure alignment of talent development efforts across Colorado. Lee also spearheads the implementation of the Workforce Innovation and Opportunity Act through the development of strategic guidance and implementation of change management strategies necessary to create an aligned network of resources to serve businesses and job seekers. 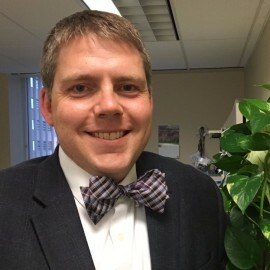 Lee brings more than a decade of project management and leadership experience to this role, having previously worked as an independent consultant for mission-driven for-profit and non-profit entities, as well as holding senior leadership positions with Hunger Free Colorado and Colorado Court Appointed Special Advocates. Lee holds an MBA with a concentration in social entrepreneurship from the Fuqua School of Business at Duke University and is an active coffee drinker at his local Edgewater coffee shop.